A conversation with Jacob Morgan. 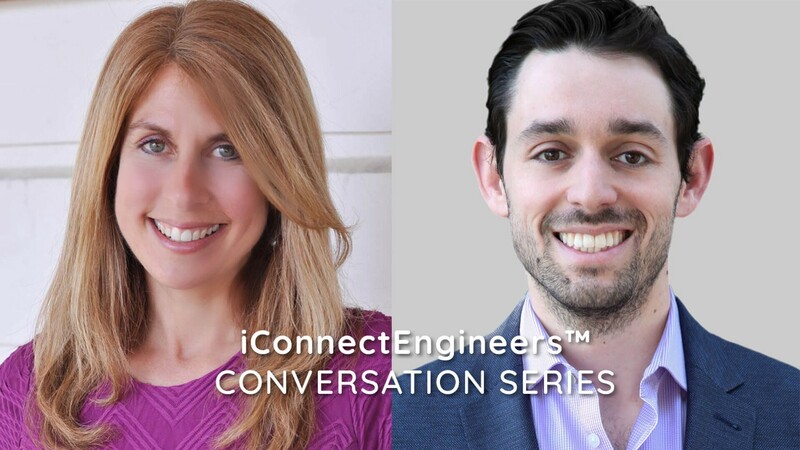 iConnectEngineers™ Conversation Series with Jacob Morgan, best-selling author, futurist, and leading keynote speaker on the future of work. Jacob Morgan discusses how the workplace is changing in terms of leadership and management and what engineering organizations need to do in order to adapt. He also addresses the five-generation workforce and how to attract and retain future employees. iConnectEngineers™ reached out to best-selling author Jacob Morgan to find out more about the changing workforce and what engineers can expect. Jacob Morgan, a keynote speaker, futurist and co-founder of the future of work community, wrote The Future of Work in 2014 and is expected to release his new book in March 2017: The Employee Experience Advantage: How to Win the War for Talent by Giving Employees the Workspaces They Want, the Tools They Need and a Culture They Can Celebrate. This conversation has been edited and condensed. To view the full conversation, click the video. Stacey: In your book, The Future of Work, you explore how the workplace is changing. What do engineering organizations need to do to adapt? Jacob: We’ve always assumed that people need to work 9–5, commute to an office, and sit in a cubicle. That’s one of the most fundamental ways in which the workplace is changing. We’re starting to see that you don’t have to do that anymore. We’re seeing interesting changes around management and leadership. It used to be all about commanding control, and forcing rules and protocols. Now we’re starting to see managers, executives and leaders focus more on coaching, mentoring and inspiring their employees. We want to have a job that has a sense of purpose and we want to have more of a connection with an organization that we’re a part of. Cash is no longer the number one thing that we care about. Whether you are in engineering or manufacturing or retail, this is something that is sweeping across the board. Organizations that want to be able to attract and retain top talent have to think differently about work. Stacey: As one of the leading authorities on the future of work, can you tell us about the five-generation workforce? Jacob: For the first time, we have five generations working together. That’s causing organizations a little bit of a challenge right now because each generation tends to work differently. Organizations are trying to create an environment that caters to all generations regardless of how old you are, your background, diversity and gender. We need to figure out how to create an organization that caters to pretty much anybody. Stacey: With millennials expected to make up the majority of the workforce and baby boomers retiring, what can engineering firms do to attract and retain future employees? Jacob: Although we talk a lot about millennials, the future worker isn’t necessarily just a millennial. In fact, if you were to get rid of all of the millennials in your organization today, you would still have plenty of people caring about workplace flexibility, a sense of purpose, having a good relationship with their manager and their peers. Ultimately, it starts with a simple premise: start to know who your people are and have these conversations with them. Stacey: What are some of the world’s most forward-thinking organizations currently doing? Jacob: If you look at an organization like Cisco Systems, they have developed something called “Moments That Matter.” Instead of the traditional employee lifecycle, they have identified the key moments in the life of an employee, not just things that happen at work but also things that happen outside of work. Google is constantly running experiments on their employees without the employees ever knowing it. They want employees to be healthier so they will take the various cafeteria areas they have and pilot different programs to see which ones work and which ones don’t. They’re constantly testing and treating their organization like a huge laboratory. Stacey: Is there anything else we can expect about the future of work? Jacob: The number one piece of advice I have for any organization is to think of yourself more of a laboratory and less of a factory. Laboratories test, experiment, innovate, embrace failure, and use data. The best thing that organizations can do is just acknowledge that we don’t always have the right answers but we can test things out, play around with things and replicate the successes. Like this episode? Please share or subscribe to iConnectEngineers™ Podcast and YouTube channel! Originally published at www.iconnectengineers.com on October 23, 2016. Calling All Engineers…Are You Ready for the Future of Work?